Now that you have all these results, you can either visit profiles, scan them or send a personalised connection message. When using X-Ray, the skipping options will not work. That is, if you selected “Never visit the same profile again” under History Skipper, this will not apply for X-Ray searches. 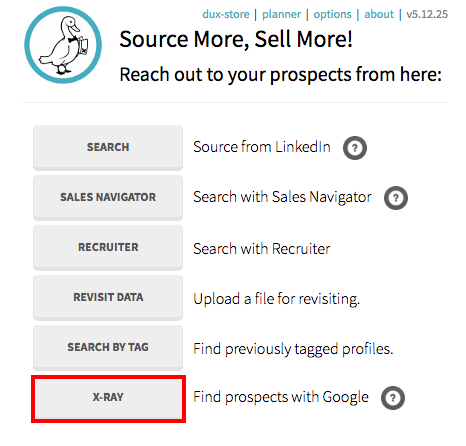 You can use both “Visit Profiles” and “Scan Profiles” with X-Ray search.